Manchester United have conceded seven goals in their first three league games of the season for the first time in 49 years. This remarkable stat from journalist Andy Mitten in the tweet below just sums up how bad the Red Devils have been so far this season. The club were notably linked with a number of defensive players during the summer transfer window, but ultimately none came. First time MUFC have conceded seven or more goals in the opening three league games for 49 years. 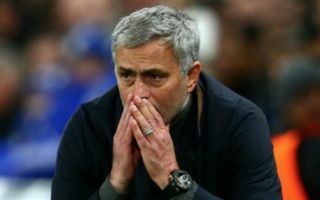 Manager Jose Mourinho cut a frustrated figure throughout pre-season as no players came, and his side have now made a terrible start in the Premier League. MUFC managed an unconvincing 2-1 opening day win over Leicester City before losing 3-2 to Brighton, and they conceded three more today in a 3-0 home defeat to Spurs. It’s quite astonishing that it’s been close to half a century since United conceded that many goals so early, especially under the management of Mourinho – a tactician once so renowned for building water-tight sides.